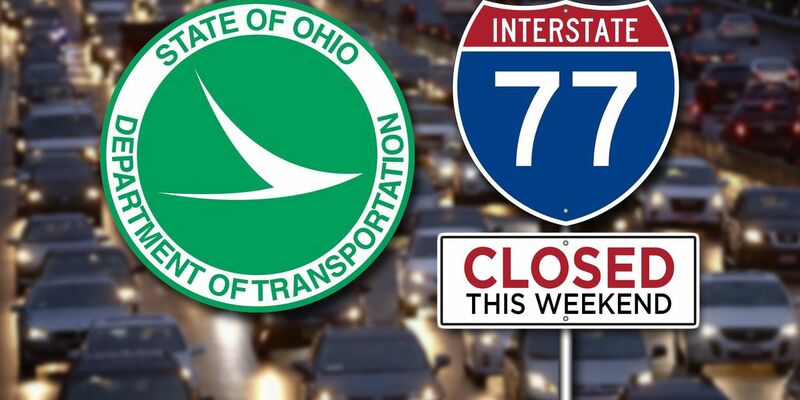 CLEVELAND, OH (WOIO) - I-77 in greater Cleveland will be closed this weekend as the Ohio Department of Transportation (ODOT) tears down the Broadway Avenue Bridge that goes over the interstate. Starting Friday, March 9 at 8 p.m. through 6 a.m. Monday, March 12 everyone on I-77, north and southbound will be detoured onto I-480 and I-490. The closure also means all entrance ramps will be closed in the communities of Valley View, Cuyahoga Heights, Newburgh Heights and Cleveland will be closed as well. Follow Dan DeRoos on Facebook and Twitter. Have a question you want him to answer? Email him at dderoos@woio.com.